Matt, a good friend and fellow Peace Corps Volunteer here in Mongolia, has a very important project which I would like to share. His closest friend in Mongolia (Agii) has a sister named Aiman who was recently diagnosed with a brain tumor. Matt is raising money and awareness to help Aiman, if there is anything you can do (including sharing any medical expertise you may have in this area), please contact Matt anytime. Here is a little bit more from Matt, who was willing to take some time to share his thoughts with us. Can you tell a little about yourself and how you know Agii and Aiman? My name is Matthew Becker, I'm 28 years old, from Colorado and currently working in Phnom Penh, Cambodia as a teacher. 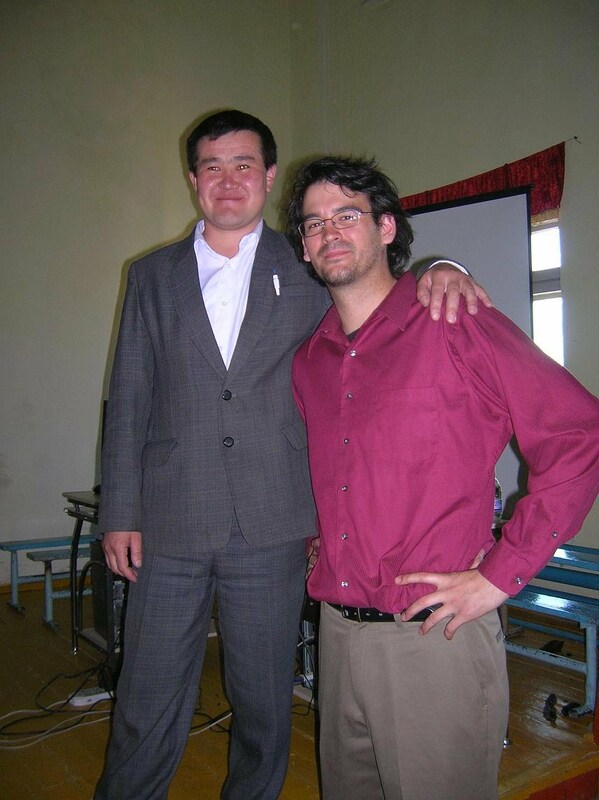 I was a Peace Corps Volunteer in Mongolia from June 2008 to April 2010 and I worked in Olgii, which is in the western Kazakh region of Mongolia. Agii is an English teacher who I befriended in early 2009. Agii is a very intelligent, hard working and charismatic guy and he's very interested in doing the best for Olgii and Mongolia. Needless to say, we became good friends very quickly and began working on education and youth development projects. From early 2009 until I left in 2010, we worked together often and I spent some holidays at his family's home. Could you tell us about Aiman's situation? Aiman is Agii's younger sister who is 27 years old and also lived in Olgii. I met her briefly a few times when visiting Agii's family. I have remained in contact with Agii over email and we have many mutual friends in Olgii. In June he let me know that Aiman, who was pregnant, went to the doctors in Olgii and they said due to complications, they would have to send her to the capital Ulaanbaatar (UB) to give birth. During examinations in UB it was discovered that she had a brain tumor. They did an operation to remove her baby early and the baby is now in good health but because of the size and location of the tumor, Mongolian doctors recommended she go to Germany for the operation. They warned that in Mongolia, there was a 50 percent risk that she wouldn't make it through the surgery and if she did, half of her body might be paralyzed. Agii expressed to me that living in Mongolian conditions has not prepared him for something like this and that he is willing to sell his home, his jeep, his business, anything he can to help his sister. Once I received the email from Agii, I sent out emails to friends and family - many of whom donated money, books and school supplies to projects I worked on in Olgii - to see if anyone would be interested in donating money to help Agii, Aiman and their family. I received emails and messages back from a few people interested in donating and so far we've raised $450. The more money we raise the better. If anything, maybe we can raise some to help with the operation, but even money for travel to a place like Germany or Korea would increase their chances of finding doctors willing to perform the operation. Agii has called hospitals and doctors in Korea and Thailand, and is waiting to hear back from hospitals in Beijing and India. He has asked me for any information on hospitals or doctors willing to help. Unfortunately I don't know any doctors but I'm hoping that someone who sees this might be able to point us in the right direction. If you would like to donate money to help Aiman, we are collecting donations through PayPal. Once we receive the money, we will withdraw it and deposit it into Agii's account in Mongolia. If you would like to share your medical expertise with us, that would be extremely helpful and generous. We have included a more detailed description of Aiman's medical condition here.